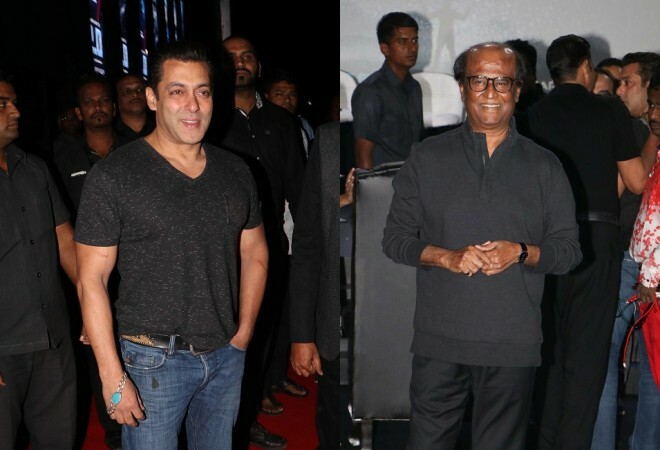 Salman Khan has once again topped the Forbes Celebrity 100 list and Rajinikanth has occupied the 14th place in the list. Rajinikanth is at the 14th place in the Forbes Celebrity India 100 list for the year 2018. The list is topped by Salman Khan, who has occupied the numero uno position for the third time in a row. He is followed by Virat Kohli, Akshay Kumar, Deepika Padukone and Mahendra Singh Dhoni. As per the report, Rajinikanth's income for 2018 stands at Rs 50 crore. Apart from him, eight other actors from Kollywood - Vijay (earnings: Rs 30.33 crore ), Vikram (earnings: Rs 26 crore), Suriya (Rs 23.67 crore), Vijay Sethupathi (Rs 23.67 crore), Dhanush (Rs 17.25 crore), Nayanthara (earnings: Rs 15.17 crore) and Kamal Haasan (earnings: Rs: 14.2 crore) - are in the top 100 list. AR Rahman is ranked at 11th place as he earned Rs 66.75 crore in 2018. Apart from the aforementioned names, many celebrities from South Indian film industry have been featured in the list. Pawan Kalyan, Junior NTR, Mahesh Babu, Nagarjuna, Allu Arjun, Ram Charan, Vijay Deverakonda, Mammootty and Taapsee Pannu are celebrities from South Indian film industry named in the Forbes Celebrity 100 list. It has to be noted that no celebrity from Kannada film industry has found a place.